Can you briefly give us an overview of Conscious Alliance and your mission? Conscious Alliance is a national hunger relief and youth empowerment organization based in Boulder, Colorado. What does youth empowerment look like to you? How does Conscious Alliance accomplish that? 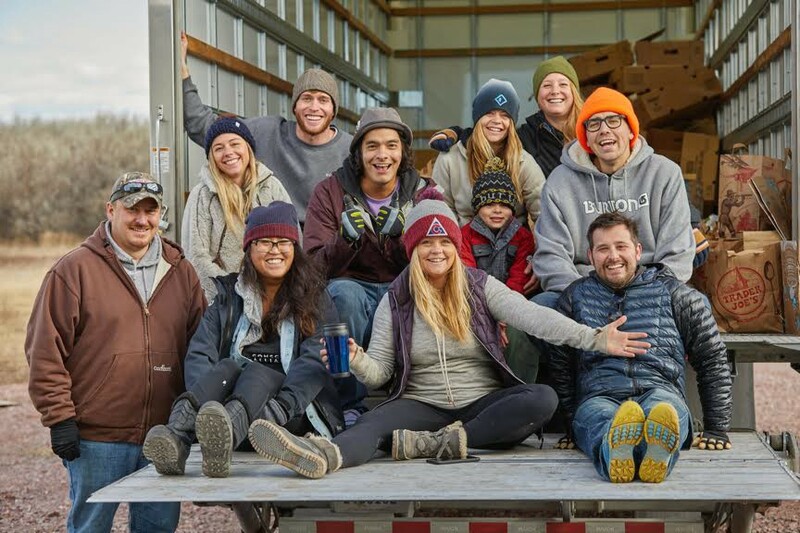 Conscious Alliance started 15 years ago by hosting large scale food drives at concerts and activated a generation to give back to local food banks around the country. Our concept of youth empowerment really started when we started food raising. Young people would come to concerts and bring 20 non-perishable food items with them to donate — which has turned into hundreds of thousands of people donating to our food drives and taking action locally. 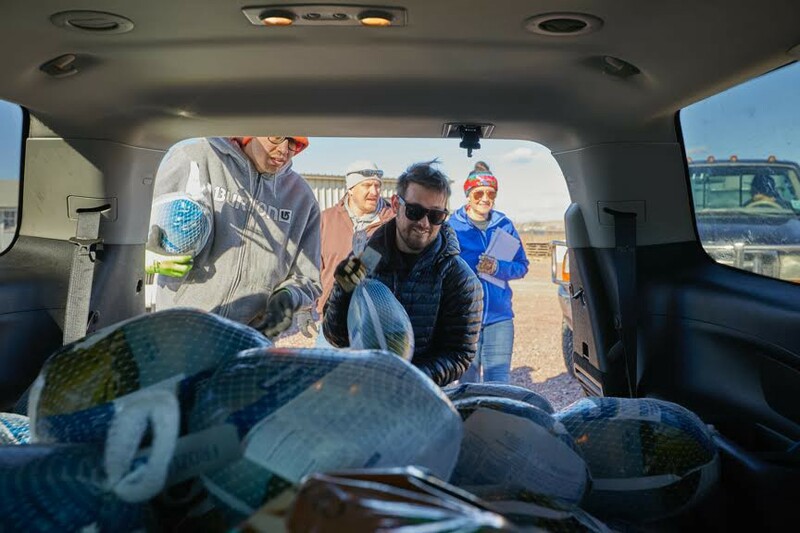 This resulted in 2.5 million meals distributed across the country and over 100,000 volunteer hours served from young people who are helping us execute these food drives. You started volunteering with Conscious Alliance when you were young. What drew you to sticking with them for the last 13 years? My junior year, my guidance counselor asked me to help him start a program to bring at-risk youth from my hometown outside of Chicago to Crow Creek Reservation in South Dakota. I had known my guidance counselor since 6th grade when I was going through a lot of surgeries and different things for my cerebral palsy and I missed a lot of school. I was behind from missing a month of school at a time and having to spend time in physical therapy. He would just talk to me about life and help me feel supported in a way that I didn’t fully understand yet. When we started the program I would take photos there for my photography class. This was before digital cameras and cell phone photos, so the rule we had come up with was if we took a picture of someone we would get their info and we would send it to them. My counselor called me into the office and told me that one of the kids I took a picture of had committed suicide two days after we left. He was probably around eleven years old — we weren’t close but we hung out a bit and I had bunch of pictures of him. And he stabbed himself. "That ignited something for me. How do you make that choice at 10, 11, 12 years old that’s the route you’re going to take? It really ignited in me that I want to be a pillar for youth and support youth in my life. Partly, because I had been supported through my guidance counselor and he had helped me find my way. Eventually, I met the founder of Conscious Alliance outside of a String Cheese Incident show. I found out that Conscious Alliance was working with Pine Ridge Reservation which is only four hours from Crow Creek. I realized that was something I wanted to plug into — music being a passion of mine and the work on the reservation and making sure kids have access to food. That was the jumping-off point of my career with Conscious Alliance back in 2004. Did you ever worry that a path of service wasn’t for you? How did you know it was the right fit? I met the founder of Conscious Alliance right before I went to college in Asheville. I still couldn’t read well — but I realized that it wasn’t that I wasn’t smart, I had the ability to learn and the ability to positively impact my community and people around me through my experience, through listening, and through experiences with them. We always question whether we’re on the right path in life, but there was a lot of affirmation for me in the work that we do, the community we build, and the friendships and connections I’ve made, so I haven’t really faltered from that. I think being confident in your choices is about community and connection, which is something that I have here. Can you describe a meaningful experience with Conscious Alliance? How did this experience impact other areas of your life? Four years ago we had the idea to start a backpack program which would provide food on the weekends for kids in need on Pine Ridge. Part of what we were looking at was our budget and the size school we could continually support in the long term. We didn’t want to launch a program and then have to pull it back. We went to Loneman School and met with the Assistant Principal (now Principal), Alicia Stolley. I was immediately inspired. We walked through the door and I saw her say hello to so many kids by name, high-fives, and words of encouragement. She had this spark and tenacity and fearless persistence which was very refreshing. We told her the idea of the weekend backpack program and she told us about kids who from Friday at lunch until Monday morning didn’t have anything to eat. In her words, we showed up for her and were the answer. "Four years later, we have the nation’s first all-natural backpack program working with major brands from around the country like Justin’s, Plum, Suja Juice, and Organic Valley. They’ve dedicated an entire room to store the food and built it into a choice-based system where the kids get to pick what they want and what they don’t want. Alicia has students working on life skills through the program. We’re able to distribute food to 250 kids on free breakfast and lunch — 109 of them are considered homeless — and now they’re all going home with food. The big thing is we have a partner, someone who is trying to strengthen the program and create opportunity for the students and the community. What’s next for Conscious Alliance? We just got back from delivering 2,000 toys from Pine Ridge Reservation and Lame Deer Reservation. We’re working with five different bands across the country for New Years in an effort to kick off 2018 in a really big way. What’s next for us as a whole is a focus on unlocking the passion and compassion in youth and finding ways to take youth empowerment to the next level. So, I want to get involved with Conscious Alliance. How do I do that? We have opportunities to volunteer with the our Art That Feeds food drives at concerts. We have a wonderful membership program that with a small monthly gift ensures that families have access to food every month. You can get involved with our social media platforms and help spread the word about Conscious Alliance to your networks. Whether you know natural food companies or parents or friends that might be interested, the biggest thing that has made us successful keeping a low overhead while being able to distribute a lot of food and empower youth has been word of mouth. Questions? Comments? Do you know a nonprofit leader that you’d like to see highlighted here? Reach out to genevieve@unself.com, and I’m happy to talk!